Gujarat is facing the spectre of ethnic strife with the Anandiben Patel government caught in a cleft-stick between the pro and anti-reservationists and the ‘leaders’ of the embattled police who have been at the receiving end, rolling up their sleeves menacingly. The problems stand further compounded by her BJP counterpart in Rajasthan Vasundhararaje Scindia who on September 22, 2015 got the State Assembly to clear two Bills providing five per cent quota in jobs and education to the Gujjars and some other groups under a new category of special Backward Classes besides 14 per cent for the economically weaker sections of upper castes-families with annual incomes up to Rs 2.50 lakh. The additional reservation came two days after RSS chief Mohan Bhagwat pitched for a review of the entire policy in this regard contending it had been used for political ends and suggesting setting up of a panel to examine who needs what and for how long. This is clearly expected to queer the pitch for Anandiben Patel in Gujarat even as it creates a new problem for Prime Minister Modi. If Scindia can do it, why not Patel, question the Patidars and now even others who would want inclusion in the economically backward classes (EBCs). The problem for Modi arises as Scindia has made it clear that she would try to include the new laws in Schedule IX of the Constitution, a section outside the purview of the courts. This is because with the new proposed quotas, the reservations would go up to 68 per cent violating the Supreme Court cap at 50 per cent. The apex court in 2007 had ruled out blanket immunity from review of laws even under this schedule. In any case, inclusion in Schedule IX is a long drawn process where the decision is taken by Parliament. While he seeks to ‘conquer’ foreign lands with his India-centric world vision, Modi’s carefully crafted Gujarat model, a relic of his decade and a quarter long helmsman-ship of India’s premier business state oscillates precariously between myth and reality. More so after the agitation in his home state spread rapidly fanned by growing unemployment, shrinking agricultural acreage and rising urban-rural disparity. Just over an year after he left Gujarat, the ruling BJP which strode the state like a colossus and minced the Congress opposition to oblivion, is a pale shadow of its original self. The bubble of the Gujarat model has burst. Rising unemployment has busted the myth of the state under Modi rule leading in providing jobs to the youth. It is this unrest amongst the young that is trigger for the stir. With the agitation gaining strength with every passing day, BJP leaders – including MLAs, MPs and ministers – are scared to venture out of the state capital, Gandhinagar without reinforced security. Their public presence has diminished to a trickle as they are being targeted by large crowds with Patidar women at the forefront banging ‘thalis’ and rolling pins ,driving them out not only from public functions but their own party meetings. In the last fortnight, at least thirty party meetings statewide, including those being held in the state government owned circuit houses, have been stormed, forcing the leaders to beat a hasty retreat. With elections to local self-government bodies-municipal corporations, municipalities and panchayats, due shortly, the BJPs candidate selections process itself stands badly hampered. Village after Patidar majority village in Gujarat is putting up banners at the entrance asking both BJP and Congress politicians not to enter for soliciting support or votes and warning that they should ignore this warning only at their own peril. The agitation leaders have already made it clear that they will not ask the ruling party for any tickets to contest the ensuing elections. “We don’t want it”, said Sardar Patel Group (SPG) leader Lalji Patel in Vijapur on September 16. The Patels constitute a sizeable vote-bank for the BJP and the erosion of this support base can trigger a debacle if not a disaster. Many BJP leaders who would be eager for party tickets are this time opting for organizational work in the ensuing polls. No wonder the state government has promulgated an ordinance delaying the local self- government body elections and initiated the process of appointing administrators therein. And what panic was in evidence. On October 1, the Gujarat Congress briefed the media seeking 15 to 20 per cent reservation for the EBCs. The very next day (October 2), the Patel government went full throttle. Within 24 hours the bureaucracy completed the entire procedure and by the day after (October 3) morning, an ordinance that gives power to the Gujarat government to postpone the local body elections was proposed to Governor OP Kohli by the state cabinet. It was approved the same afternoon, and by evening the State Election Commission declared the postponement of the elections by three months. The Congress now crying foul plans to knock at the doors of the High Court. Is it not ironic that the BJP government headed by Modi, despite the 2002 communal violence that left over 1000 dead, insisted on going ahead with the Vidhan Sabha elections the same year claiming normalcy, while his chosen successor has pushed back civic and panchayat polls in the same state on a piffling of a pretext in 2015, public interest? My foot, plain political opportunism! However, there is little respite in store for the government. With the Patidars making action against the errant cops, a precondition for talks on reservation with the government, there is distinct unease in the police force in Gujarat. Already, leaflets are in circulation amongst the rank and file of the police claiming that ’they’ are once again being made scapegoats and that there is need to realize this and act in time. Already the cops have served notice on the government making known their desire to form a police association to safeguard their interests. An unrelated incident of an additional DGP, allegedly keeping his subordinates in confinement has only queered the inease in this regard. It is pertinent to note that Gujarat had seen the police turn rebellious in 1985 during the anti-reservation agitation. Again in 1987, para-military forces were called in to disarm the cops as a preemptive measure after they threatened a mutiny of sorts. Thus the open season of confrontation in Gujarat with the Patidars ranged against the OBC, people irked with the police and the cops unhappy with the government , is overall, cause for considerable concern. Interestingly, the state and national establishments have woken up to a flurry of activity only after they realized that the domestic strife may spoil Prime Minister Modi’s perfectly pedicured national and international plans. This followed the intelligence assessment that agitation leader Hardik Patel plans to address four public meetings in Bihar. Also, that the US based Patidars who constitute a powerful network amongst the Non-resident Indians (NRIs) have made common cause with their agitating brethren back home. Modi’s high profile US visit faced Patidar protests despite a lot of back room jockeying by the ruling establishment as well as the friends of BJP group. This is the main reason why the Patel government has decided to adopt a ‘no tolerance’ stance and put down the agitation with a heavy hand at home .It is now gunning for the agitation leaders but are still wary of taking on Hardik directly . No wonder hours before the Indian Prime Minister embarked on his US tour, sedition charges were slapped against stir leader Nilesh Ervadia, who was arrested for sending messages intended to “incite violence and create enmity between communities”. Realising the damage, RSS supremo Bhagwat’s remarks can cause to the BJP in a delicately poised Bihar poll, the party is desperately trying to neutralize the damage though Lalu Yadav and his ilk have already cottoned on to it. In this backdrop, Hardik’s Bihar forays could just be one blow too many in a poll fight on which Modi’s prestige is on the line. With Patidars mobilizing and determined to pull out all stops while carrying their fight to the national arena turning into a reality, the Modi government has a tableful of trouble even after the Bihar polls. 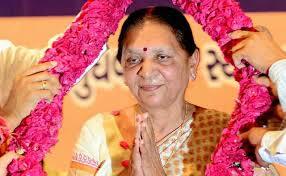 As for the Anandiben Patel government in Gujarat, the danger is real now. The ruling establishment is trying hard to nullify its impact or at best smother it. The damage nevertheless is done. Abuses are remembered more than endearments. Moreover, wounds also leave scars.